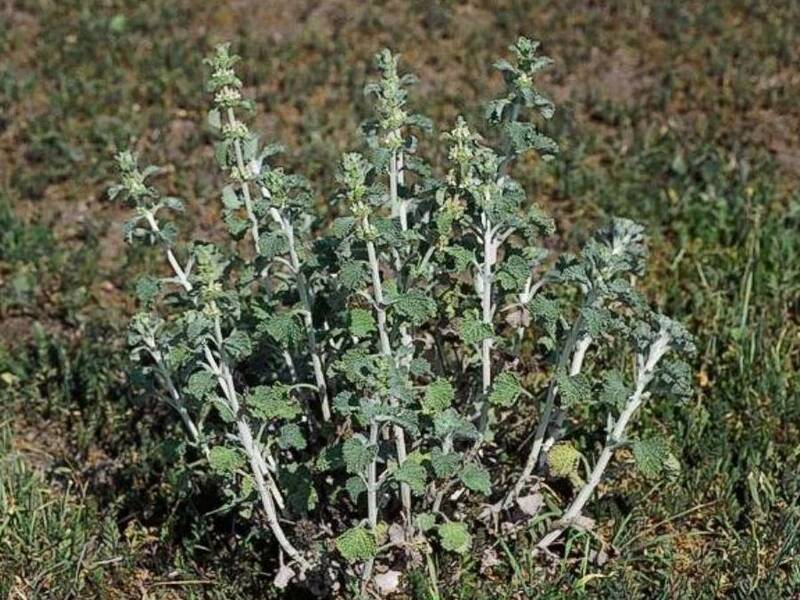 Marrubium vulgare (white horehound) is a perennial shrub/forb/herb (family Lamiaceae). This plant is found heavily populating disturbed places throughout California in grasslands scrub and riparian areas. It has mostly minor impact on native species.